Innovation & Literary Camps & College Prep/Model UN Academies, Leavenworth, WA Cascade Mountains Register by April 15 https://cts.vrmailer1.com/click?sk=atqoB2JgajBJglR5YAOUF5FqouR5qO94vN0nzQpjlMvs=/aHR0cDovL21hcmtldGluZ3N1aXRlLnZlcnRpY2FscmVzcG9uc2UuY29tL2VtYWlscy8yODU4NzMwMjM2MzYyNz9zb2NpYWxfYWNjb3VudF9pZD0yOTUwODQ2MjUyMTM=/Jv4p0YFI5u-Zi49ETCSuyQ==&social_account_id=295084625213&merge_field_type=%7BVR_SOCIAL_LINK%7D&link_id=28587302415796&source_id=28587302323709&source_type=FacebookPageAccount 3 weeks 16 hours ago. My family has created a NASA award winning overnight summer camp near Seattle in the Cascade National forest. Since our launch in 2013, before the screen crisis, we have taken all devices from the kids at registration. The transformation is uncanny, anxiety rolls off, kids leave lighter, engaged and happy with their new camp friends. It also gives them confidence knowing that they can fill their time with making, learning, reading and, yes, reflection. We also hike mountains, play Capture the Flag, quidditch and water play/swim. Family camps, too. www.harrypottercamps.org www.camphalf-blood.org www.campfandom.org All camps are part of www.campdemigod.org 3 weeks 1 day ago. NASA Award Winning Vancouver BC Spring Break & Leavenworth, WA Summer Camps - Families Unplug! https://cts.vrmailer1.com/click?sk=atqoB2JgajBKC8MNYAOUF5PPSY7yF7GBk3lh2r2d74aU=/aHR0cDovL21hcmtldGluZ3N1aXRlLnZlcnRpY2FscmVzcG9uc2UuY29tL2VtYWlscy8yODU4NzMwMjM2Mjk5Nz9zb2NpYWxfYWNjb3VudF9pZD0yOTUwODQ2MjUyMTM=/czFNWcoNCpDcxX-3T0lJvg==&social_account_id=295084625213&merge_field_type=%7BVR_SOCIAL_LINK%7D&link_id=28587302413449&source_id=28587302323709&source_type=FacebookPageAccount 1 month 1 week ago. NASA Award Winning Innovation & Literary Camps, Leavenworth, WA Cascade Mountains https://cts.vrmailer1.com/click?sk=atqoB2JgajBII3wdXAOUF5EXQ6P92Sm1iAS3lHGFDjAY=/aHR0cDovL21hcmtldGluZ3N1aXRlLnZlcnRpY2FscmVzcG9uc2UuY29tL2VtYWlscy8yODU4NzMwMjM2MTMxMT9zb2NpYWxfYWNjb3VudF9pZD0yOTUwODQ2MjUyMTM=/nxuAqiPjAmzmZbhPd7-iDQ==&social_account_id=295084625213&merge_field_type=%7BVR_SOCIAL_LINK%7D&link_id=28587302405719&source_id=28587302323709&source_type=FacebookPageAccount 2 months 4 weeks ago. January & Summer Camps - Ignite Your Child's Imagination in Canada & WA State https://cts.vrmailer1.com/click?sk=atqoB2JgajBK20_BXAOUF5Mp5dFgRPpayTd-nhgR3-4s=/aHR0cDovL21hcmtldGluZ3N1aXRlLnZlcnRpY2FscmVzcG9uc2UuY29tL2VtYWlscy8yODU4NzMwMjM2MDg1OD9zb2NpYWxfYWNjb3VudF9pZD0yOTUwODQ2MjUyMTM=/zLGpJWmsKvuGm50qMrrUYw==&social_account_id=295084625213&merge_field_type=%7BVR_SOCIAL_LINK%7D&link_id=28587302403139&source_id=28587302323709&source_type=FacebookPageAccount 3 months 3 weeks ago. 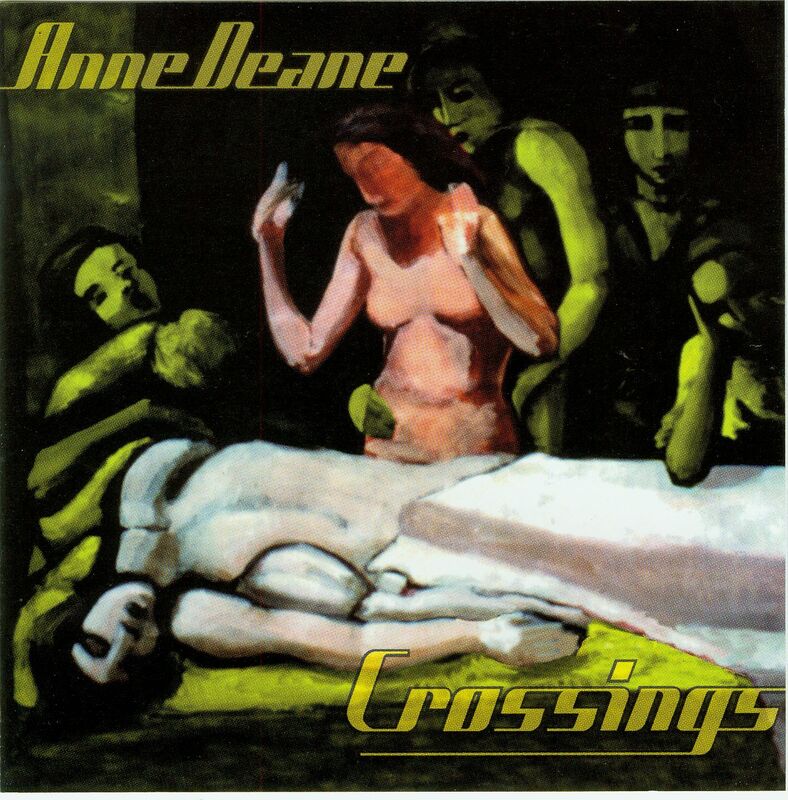 innova announces the release of Anne Deane's first compact disc, Crossings, featuring five of her recent acoustic and electroacoustic chamber works. Deane's (1963-) music is inspired by personal experiences. It is the emotional aspect of her music that provides directness, universality, and poignancy. This chamber music CD features new works developed at the University of California at Santa Barbara, written for, and performed by, past and present members of UCSB's Ensemble for Contemporary Music and the Anacapa String Quartet. Crossings. As the title suggests, each of the works was inspired by milestones in Deane's life. In 1994, one of her closest friends, Fred Chance, died of complications from AIDS. Positive Thinking, which processes his voice with computer generated sounds and live alto flute, expresses Chance's regret over passing the AIDS virus to his lover of ten years. Crossing to Elysian Fields is a programmatic work for string quartet in two elided movements depicting Chance's last day on earth, as he crossed into the Elysian Fields, the abode of the blessed after death. The other works on the disc describe happier milestones. Deane celebrates the passion and commitment in her marriage in the Love Songs for soprano, cello and piano, with texts from Sanskrit and James Joyce's Ulysses. SLAMMIN' for percussion and tape explores how we find our voices, musically and otherwise, and is dedicated to her daughter Clara, in remembrance of the year she learned to speak. Glacius, for solo piano, is a programmatic journey through static, icy waters, leading to an oasis of vast richness and depth with the return home. This work illustrates Deane's aesthetic path, reconciling her rigorous academic writing with her intuitive childhood music. The music from this CD is filled with imagery: dramatic, sometimes narrative, and always evocative. In the words of the Baltimore Sun music critic, "Deane assaults the emotions with power and intelligence."